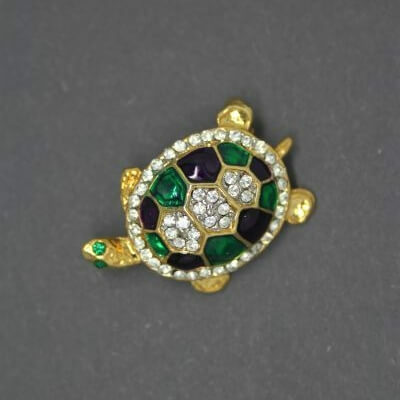 Description: This is a wonderfully detailed 1980s vintage figural turtle brooch. 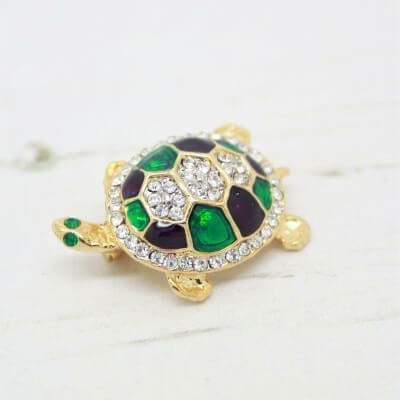 Featuring shimmering crystals and deep green and royal purple enamel in a gold plated setting. He also has sparkling emerald green rhinestone eyes. 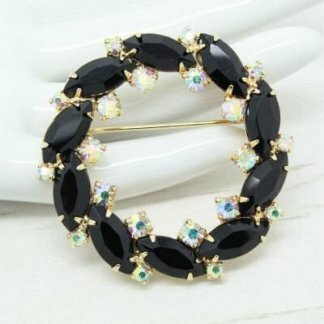 Although unsigned, this brooch has been beautifully made with high quality stones and a strong roll lock clasp to the back. 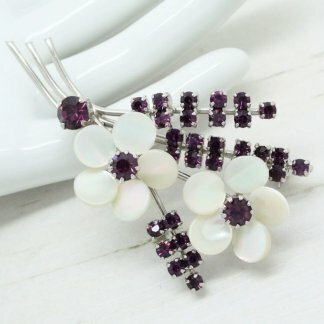 Measuring 3cm at longest point this cute little brooch would look wonderful attached to the lapel of your jacket in a group or on it’s own. In good condition showing slight to no wear. He remains bright, shiny and clean.